My 3 horses have been on your bug check for many years, and have always been healthy happy boys. A while back, I switched them over to the field formula, and they absolutely love it! Their coats are shiny, their eyes are bright, and they have no trouble maintaining healthy weights (even in our extreme winter weather). The farrier even told me they have some of the the best looking hooves he has seen! 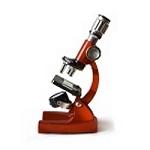 Thanks again for providing such a quality product, and for your excellent customer service. I will be placing an order shortly, as I dread the thought of running out. Keep up the great work! I started using Bug Check Field Formula this spring. My horses could not get enough. My 35 year old QH gelding inhaled it. I cannot believe the change in him. He shed his coat with the other 5 horses. He usually stays fuzzy until July. His hair is shiny and he looks wonderful. His weight is good, eyes are bright and he looks better than he's looked in a decade. I have seen a positive change in the others too but he is the most striking. Thank you Dr. Dan! My 22 year old gelding constantly has cowpie stools even after using many different brands of probiotics and adding more fiber to his diet. My 9 year old OTTB mare who I recently purchased is a cribber. Originally, I purchased the 5 pound tub just to "try it out." Within two days of having it free choice, my gelding's stool is firm and my mare is no longer cribbing. Highly recommend! 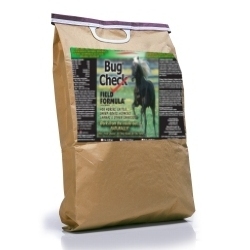 For years when my horses were boarded I used Bug Check. Now that they are in pasture and roam with my goats and sheep I switched to the Field Formula. This is so easy to use. All the animals love love love it. The best part that was in the heat and humidity of NC my animals weren't being pestered by bugs. I highly recommend this product! I have a rescue mare that was scheduled for euthanasia due to an extreme bug allergy. I started her on bug check. Within the first month I saw an 80 percent improvement in her coat and she is so much more comfortable. She used to scratch until she would bleed. Bug Check alleviated most of her bug allergy related problems. Now I use it on all of my horses. Thank you for an excellent product. After an amazing ride last week-end and while brushing my horse, I found 9 deer ticks crawling up his legs. This is not uncommon in Wisconsin, but since using Bug Check, they NEVER attach. 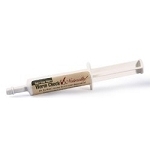 I rave to every horse person I meet about The Natural Vet's products. The BEST I've Ever used. Thank you, Thank you! 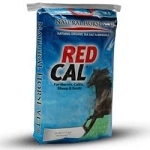 I learned of Natural Vet products at Equine Affaire in Pomona, Ca a number of years ago. I tried Bug Check, as we have a terrible time with flies during our long summer season. It has helped a great deal. 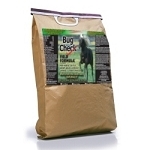 Love the fact that it's all natural- no chemicals being put into my horse. 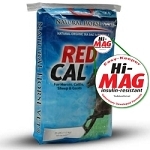 After reading about Red Cal, Dr. Dan's info convinced me to try that. My horse loves it. Combining the 2 was a great idea. Combining both saves me money. My 35 year old mare gets a measured dose every day, and I keep some in a bucket for free feeding, as well. She takes what she needs, when she needs more. I offered it as a treat, in hand, at first, and she absolutely loved it! Thank you, Dr. Dan for helping to keep my old girl healthy and happy! The combination of these two products is genius. I wouldn’t let my horses go without it. They honestly choose this formula over RedCal alone, which allows me to rest easy knowing they are happily getting what they need to balance their system, when they need it.